J.T. Brackenridge Elementary sits on the eastern edge of zip code 78207, which is the way people refer to the Mexican-American community that surrounds the school. Located just west of downtown San Antonio, the neighborhood is as rich with art and history and culture as the rest of the city. Yet it’s a world apart. To travel to or from the school is to take a compressed trip through time. Head east, and every few hundred feet Guadalupe Street presents a different line of demarcation — each a visual reminder of who lived here and what life was like during those respective eras of human habitation. There’s Alazan Creek, one of the spring-fed waterways that drew nomadic tribes and Spanish conquistadors, now a concrete culvert lined, not with public art, like the city’s iconic Riverwalk, but with untamed scrub. After Guadalupe crosses the river, the road widens and rises, going over busy train tracks that conveyed the raw materials that were used to build the modern metropolis, and then the scrapyards to which spent rebar and steel are returned, to be reforged as the city’s next iteration. The final boundary is an elevated interstate, a current-day conduit in the sky that bisects the cramped 25-foot lots of the 78207 from the lofts, the leafy, art-filled riverside promenades, the tail-to-snout eateries, and the brewpubs of the city’s prosperous core. 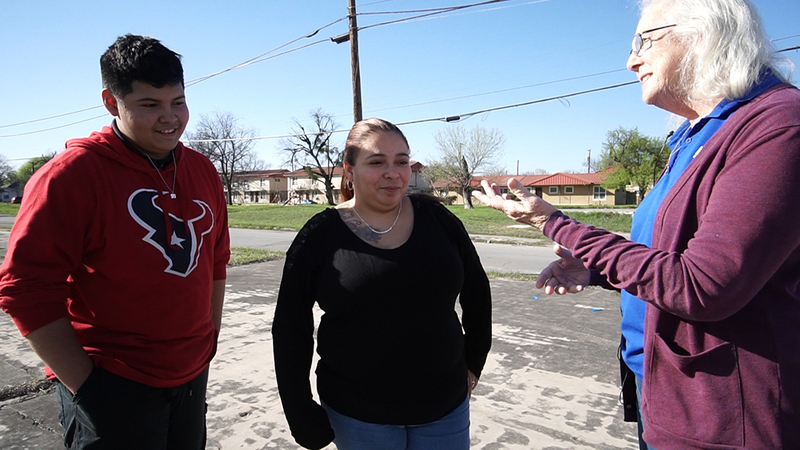 In this daily school commute up and down Guadalupe Street, parents and students are presented with a vivid illustration of their stark reality: By virtually any statistical measure, San Antonio is the most economically segregated city in the United States. Its poorest neighborhood, the 78207, is located a scant few miles from the epicenter of the third-fastest-growing economy in the country. But as the city as a whole thrives, the residents on the West Side are all but locked out of the boom. Into this divided landscape three years ago came a new schools chief, Pedro Martinez, with a mandate to break down the centuries-old economic isolation that has its heart in the 78207. In response, Martinez launched one of America’s most innovative and data-informed school integration experiments. He started with a novel approach that yielded eye-popping information: Using family income data, he created a map showing the depth of poverty on each city block and in every school in the San Antonio Independent School District — a color-coded street guide composed of granular details unheard of in education. And then he started integrating schools, not by race — 91 percent of his students are Latino and more than 6 percent are black — but by income, factoring in a spectrum of additional elements such as parents’ education levels and homelessness. To achieve the kind of integration he was looking for, he would first have to better understand the gradations of poverty in each and every one of his schools, what kinds of supports do those student populations require, and then find a way to woo affluent families from other parts of the city into San Antonio ISD schools to disrupt these concentrations of unmet need. Martinez’s strategy: Open new “schools of choice” with sought-after curricular models, like Montessori and dual language, and set aside a share of seats for students from neighboring, more prosperous school districts, who would then sit next to a mix of students from San Antonio ISD, where 93 percent of kids qualify for free or reduced-price lunch. Only a few years into the experiment, the effort has reshaped the educational landscape and redefined the aspirations of its students and educators. The district’s diverse-by-design schools now have long lists of well-to-do families waiting for a seat to open up alongside students from working-class households and destitute neighborhoods. Families from the affluent communities on the city’s north and northwest sides are indeed now eagerly applying to share classrooms with families from the 78207. Student learning has accelerated — in both the new, marquee programs and existing schools. When Texas released its 2017-18 school performance scores last month, San Antonio ISD, with its 50,000 students and 90 schools, was named one of the fastest-improving districts in the state. The system as a whole had risen from the equivalent of an F rating to a C in just the past three years. Thirty-four of its schools earned the state’s “distinction” designation. The number of San Antonio ISD schools that would have landed on the state’s “improvement required” list using 2018 criteria fell by half. Using the same calculus, the number of students enrolled in a low-performing school plummeted from 47 percent to 16 percent, the largest decrease among urban districts in the state. With arguably the nation’s most radical school integration experiment reaping early wins, what Martinez says he needs most now is time — to get his still-disadvantaged schools from a C to an A, to change beliefs at all levels about what success looks like, and to stave off a gathering storm of opposition from those who disagree with his maverick approach. National experts on school improvement are buzzing about Martinez’s work. But if he is to win over his detractors — and reach the most profoundly destitute children within a larger community marked by poverty — he needs the same sense of excitement his work is garnering outside San Antonio to catch hold in his own segregated backyard. Martinez is himself an immigrant from Mexico and a first-generation college-graduate success story. Soft-spoken and trained in finance — not as a teacher — he was a curious hire back in 2015 for the south Texas district. 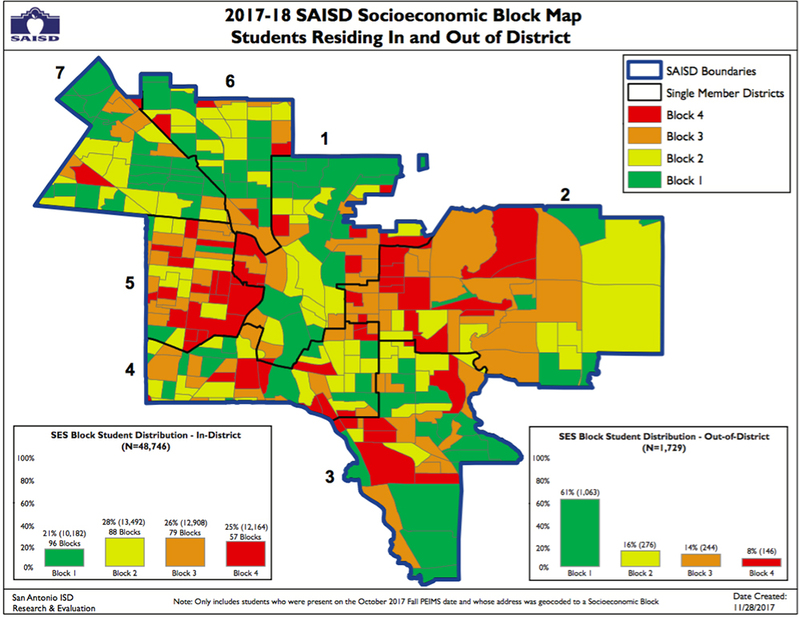 San Antonio ISD is one of 17 school districts within the city limits, but its blanket poverty is no accident. The district’s boundaries were drawn decades ago to neatly follow the 1940s-era red-lined maps segregating blacks and Latinos into what is now an urban core. By contrast, the district located to the immediate north, Alamo Heights, has a poverty rate of 20 percent. 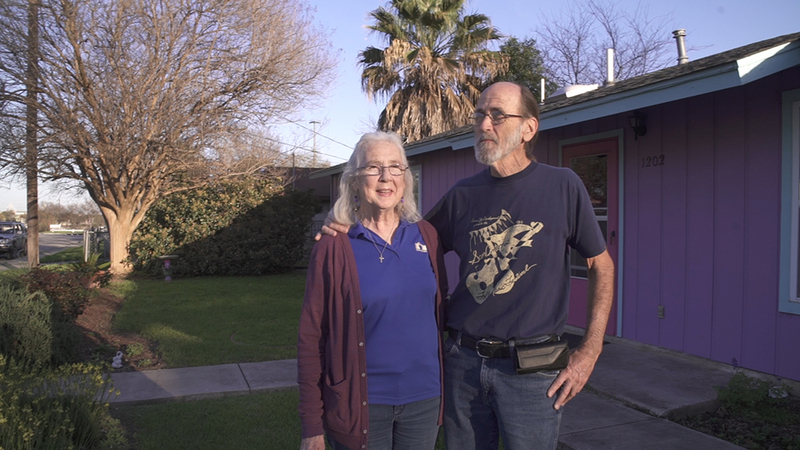 San Antonio ISD’s school board president, Patti Radle, has lived and worked in the 78207 — the district’s most impoverished neighborhood — for nearly half a century. A former J.T. Brackenridge teacher and community activist, she believed Martinez, like her, would see her neighbors’ pride and resilience, and not fall victim to what she calls “the pobrecito” — “poor thing” — phenomenon. Radle listened to Martinez describe his family being forced to move every time their landlord figured out how many people were stuffed into their tiny apartment. She became convinced he understood the weight of students’ challenges, as well as the dangers of well-intended but misguided educators trying to protect them from rigorous academic material. Martinez believed the neighborhood kids could succeed on par with their wealthy peers, just as he had done, and wouldn’t settle for less, she says. “His attitude and his insight seemed outstanding,” she said. She and her fellow board members told Martinez his job was nothing less than to create a school system that would serve as a model for big-city districts throughout the nation. Never mind that these are the marching orders every urban school board chair gives every new superintendent — as the product of a similar community Martinez didn’t hear the directive as a rhetorical one. Neither of his parents made it past second grade, and both worked long hours to feed their 10 kids. At 16, Martinez went to work, too, to help support the family. He knew what creating a generation of college graduates eager to come home to live and work would mean for the 78207. But knowing that nearly every student in the district was low-income told Martinez only the size of the problem, not anything useful in terms of addressing it. In search of better information than what school districts traditionally compile, he turned to census data to create the color-coded map showing the wide variation of levels of poverty from one school to another. After that, Martinez rebooted dozens of schools, reorganizing them around the kinds of programming — Montessori, dual language, gifted and talented — that families in wealthy communities paid private school tuition for. He recruited master teachers and pushed existing ones to retrain. Lacking the money of neighboring districts, he tapped civic organizations and philanthropies to pitch in. Fast-forward three years. Martinez has opened an eye-popping 31 schools of choice. Families — some of them affluent parents who previously didn’t give the district a thought — are clamoring to get their children in. Using what he now knew about the extreme poverty of some of his families, Martinez’s team created a sophisticated lottery system that carves out a percentage of those seats for the neediest students. Philanthropy is writing big checks. The number of high school graduates going not just to college but to selective colleges has soared. And Martinez has made sure to build cultural bridges to enable his graduates, many of whom had never before left Texas, to succeed there. In 2017, for example, he organized a road trip to Middlebury College in Vermont so the families of four San Antonio ISD students got the chance to settle their kids in at the elite liberal arts school, while catching a glimpse of what life is like in such an unknown setting. The education world took note. In February, the Center on Reinventing Public Education brought dozens of leaders of cities that are home to large, struggling school districts to San Antonio to tour the new schools and to hear how Martinez managed to raise the bar so fast — and on a shoestring. The center’s director, Robin Lake, credits Martinez’s willingness to listen to what the community wanted and to build first on its strengths for the quick buy-in he got. “He really took the time to hear about what was missing in kids’ educations,” she says, and to learn what would empower teachers. It appeared Martinez was well on his way to fulfilling his marching orders. But change agents have a way of attracting headwinds. Last winter, the 48-year-old schools chief announced a plan to invite a charter school network to take over a struggling elementary school slated at that point for closure by the state. Almost overnight, the San Antonio Alliance of Teachers and Support Personnel declared war. The union filed a lawsuit. Critics vowed to oust the school board that hired Martinez. Posters appeared on telephone poles with the hashtag #byepedro. Now, a new challenge looms. Can Radle and her school board colleagues stand firm, mustering enough support for Martinez’s efforts to continue to spread beyond the impoverished but gentrifying and historic parts of the district where San Antonio ISD’s most successful new schools have opened? Can families have the same excitement and progress in its most profoundly isolated neighborhoods, in schools like J.T. Brackenridge? Can they change expectations fast enough to interrupt generations of complacency? Martinez and Radle say they have to if they are to create a system that is, in fact, a national model for breaking down the economic segregation handicapping poor children in every big-city school district in the country. When Martinez was a toddler, his 2-year-old sister died, a tragedy that could have been prevented if his family had had access to decent health care in Aguascalientes, Mexico. His father, Rodrigo, orphaned and forced to drop out of school in second grade, realized his family needed to leave if they were to do more than subsist. Rodrigo moved to Chicago and for two years saved money to bring Pedro, his mother, and his surviving siblings north. The local parish helped the family get on its feet, but Rodrigo always had to work two jobs and never earned more than $7 an hour. In sixth grade, Pedro had a teacher who was determined to push him to live up to his potential. The tough love was effective, and Martinez entered Benito Juarez High School with 12th-grade math skills. He started high school in a class of 700. By the time Martinez graduated, there were 170 seniors left. He had worked his way up to assistant manager at McDonald’s, but Martinez knew he could do much, much better. He took a leap of faith and enrolled in college, earning a degree in accounting at the University of Illinois at Urbana-Champaign and then an MBA at Chicago’s DePaul University. Martinez was working in finance for the Archdiocese of Chicago when Chicago Public Schools Superintendent Arne Duncan recruited him to work for the district. After serving as its chief financial officer, in 2012, he was named deputy superintendent of Nevada’s Clark County Schools, the nation’s fifth-largest district, then superintendent in Reno, Nevada, and finally, superintendent-in-residence at the Nevada Department of Education. When he visited Radle’s 78207 neighborhood, Martinez was struck by the same things other newcomers are: streets no wider than alleys where houses the size of garden sheds slump, rotting into the ground because there are no sewers to prevent frequent flooding. Then there is the street in the 78207 that Radle calls “the place where the money ran out,” a series of intersections where modern infrastructure simply quits, the sidewalks disappear, and roads sporting as much grass as asphalt narrow from two lanes to one. Martinez thought he knew poverty, both personally and as a professional committed to eradicating it. But what he saw in San Antonio was familiar and yet shocking. The tight-knit families and their warmth reminded him of the neighborhood where he grew up. But the scope and depth of the need was stunning. Median family income in San Antonio ISD is $30,363. One in five adults aren’t high school graduates, and 42 percent don’t work. Half of the students live in single-parent households. Constant evictions mean up to 40 percent of students shuffle from one school to another. As daunting as those realities are, the challenges facing J.T. Brackenridge are greater. Located in the poorest corner of the poorest zip code, median family income at the school is $17,000 a year. But J.T. Brack, as residents affectionately call it, enrolls students whose family income dips below $8,000 a year. As a square on the map, the school’s attendance boundary is tiny yet dense, containing three public housing projects, including Alazán-Apache Courts — one of the nation’s oldest, completed near the end of the Great Depression thanks to the parish priest’s relationship with First Lady Eleanor Roosevelt. Martinez knew that the traditional way of measuring student poverty — tallying the number of children who qualify for free or reduced-price school lunch — was wholly inadequate when it applies to virtually every student in every one of his 90 schools. At schools near the upper range, an annual income of $45,500 or less for a family of four, students might need extra support in learning, for example, basic math and literacy skills; whereas at schools like J.T. Brackenridge, students need backpacks full of food to take home to their families. To draw the fine-grained portrait he needed, Martinez culled from a different set of data: the U.S. Census’s American Community Survey, which calculates median family income by city block. Cross-referenced with individual student enrollment records, that gave him a median household income level for each school. He put the information on a map, color-coded according to the census’s four corresponding income “blocks,” with Block Four the poorest. Education research that isn’t based on meal-subsidy data is scarce. But a working paper released shortly after Martinez created his map confirmed his hunch that the depth and nature of poverty matters in terms of a child’s educational odds. In July 2016, professors at Syracuse University and the University of Michigan used Michigan data to determine the number of years individual students were eligible for free or reduced-price meals. At the time of the study, these students made up half of Michigan eighth-graders. In “The Gap Within the Gap,” Katherine Michelmore and Susan Dynarski determined that students whose family income was nearest the maximum for eligibility were most likely to be “transitorily disadvantaged” — temporarily set back by a layoff or some other factor the family could bounce back from. Meanwhile, 14 percent had been eligible their entire time in school. “Persistently disadvantaged,” their families were unable to climb out of poverty. They were more likely to go to urban schools with high concentrations of poverty than their less-impoverished peers. As a group, the poor students studied were about two grades behind their wealthier peers, but the persistently disadvantaged children were three grades behind. Martinez knew that at some of his schools virtually all of the students carried the trauma associated with growing up in this kind of deprivation. He would have to ask both San Antonio ISD staff and the civic and philanthropic groups eager to contribute to commit to providing the extra support necessary to address this intergenerational trauma. Martinez carried his map around to Rotary Club breakfasts, meetings with teachers, and any other gathering where it might spark discussion. When he took it to other parts of San Antonio, he pointed out that their poverty bore little resemblance to that of his district. When he showed it within the district, he flagged the outliers. J.T. Brackenridge was one of them, very near the bottom in terms of poverty but not academic performance. In fact, the school had a higher percentage of students scoring “advanced” on annual state reading and math assessments than the lone district school with median family income anywhere near the national average, about $54,000. Martinez and Radle had some hypotheses about this. For starters, the close relationships in the 78207 can keep things like evictions and job losses from being as catastrophic as they might be. Though it has since experienced some turnover, the school had an unusually stable staff, Radle notes, and with periodic exceptions, the neighborhood experienced much lower crime rates than might be expected. Usually when Martinez highlighted the surprises on his map — J.T. 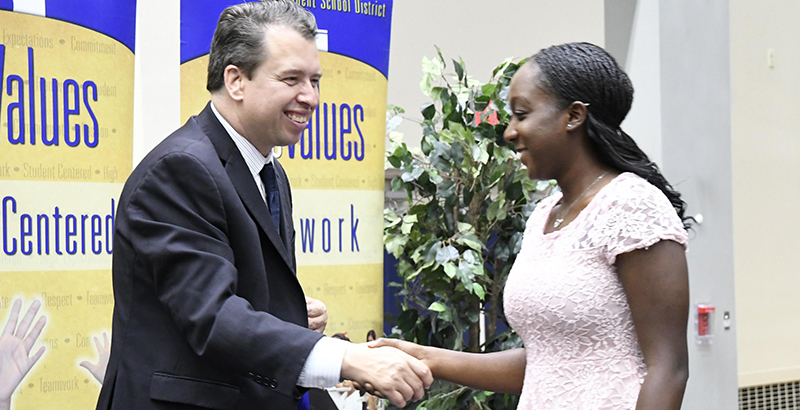 Brack’s scores were decent, but the district’s Young Women’s Leadership Academy was one of the best schools in the country in terms of academic achievement among low-income children — people would ask why. What went right, and could they build on it? And if kids were learning in the elementary years, how come college enrollment and graduation were still so elusive? Conventional wisdom is that multi-generational poverty is the cause of low academic achievement. It’s undoubtedly true that decades of inequities in places like San Antonio’s urban core have created devilishly tough circumstances. But as people who also see the richness in the 78207 and similar communities, Martinez and Radle agreed that beliefs about poverty — the pobrecito problem — are also a very real barrier. Martinez understood that to parents with little experience beyond their isolated neighborhood, the payoffs from a quality education aren’t tangible. If you don’t know anyone who has a college degree or a comfortable salary, you literally can’t envision how to get those things. “Our goal is to show our staff, this is what it means to prepare our children for the next level,” he says. “How do we show parents like mine, who had a second-grade education, what is possible? A few months after he arrived in San Antonio, Martinez approached the principal of the most academically successful school in the metro area, the International School of the Americas. Would Kathy Bieser leave her prosperous north-metro school district to design and lead a school in San Antonio ISD? And not just any school. Martinez wanted to create a gifted and talented academy that would be open to any child in the district, regardless of test scores or zip code. The plan had multiple layers. There’s a trove of evidence that one way to increase student achievement is to offer more challenging academic material. Requiring students to think critically about knowledge gleaned across different subject areas, the approach used in gifted and talented programs, is precisely the kind of “higher order” learning now shown to be invaluable in raising academic achievement. But when it is offered at all, it’s typically reserved for children who already are ahead. Screened infrequently, children of color are rare in gifted and talented programs. With 93 percent of his district’s students impoverished, the only way Martinez could create socioeconomic diversity in schools was to attract families from more affluent communities. Convinced a gifted and talented program would be an immediate draw, Martinez would reserve 25 percent of seats for students from other districts. Dissatisfied with offerings in even the most prosperous traditional districts, San Antonio families of means were decamping for private schools or for one of the nation’s most rapidly growing charter school sectors. Several of the charter networks expanding in the city, such as IDEA and KIPP, have reputations for being academically challenging. Bieser was well positioned to set a high bar, certainly, but Martinez had another reason for tapping her. The school where Bieser was principal had been conceived of as a teacher-training lab for nearby Trinity University, whose school of education is one of the best in the nation. Hard-pressed to compete financially for teachers, Martinez needed a “grow-your-own” talent pipeline. The newly created Advanced Learning Academy would have a partnership with the college, which would place 10 educators-in-residence and four would-be principals in the school each year. Instead of a few weeks of student teaching at the end of their educations, the teacher-in-training would spend an entire year working side by side with master teachers. Because the pairs continually talk through the choices they are making in the classroom, in Bieser’s experience, residencies are beneficial not just to the student teachers, but to their veteran mentors, too. San Antonio ISD would pick up a large portion of the cost of training if the new teachers agreed to stay in the district for several years. Significantly, when they completed their residencies, they would take the high expectations of the gifted and talented model with them to other district schools where few believed impoverished students would benefit from academic rigor. Advance Learning Academy had a waiting list even before the first day of school in August 2016. Encouraged, Martinez rolled out the welcome mat, offering to reopen schools mothballed because of declining enrollment for teachers and principals interested in creating new schools with dynamic models. He had no shortage of takers. When the 2017-18 school year started, San Antonio ISD boasted a dual language program, a Montessori school, high-tech and early-college high schools, a teacher-residency school run by the Relay Graduate School of Education, and a number of specialized programs within existing schools. This year, a third dual language school came online, along with an all-boys school and a host of other new programs. But with success came a new challenge. As applications rolled in for seats in Advanced Learning Academy’s second year, they followed a trend common throughout the country: As soon as a new school acquires a buzz on the parent grapevine, middle- and upper-class families can quickly dominate. Martinez needed to make sure families from Block Four, the poorest of the poor, got their share of seats in the new schools. He recruited a former teacher who was trying to create “diverse by design” schools in Dallas, Mohammed Choudhury, to start and lead an Office of Innovation. Choudhury, whose Twitter bio lists desegregation as a job duty, immediately began creating an enrollment system that would reserve seats not just for out-of-district families and neighborhood residents, but for children from each of the income “blocks” on Martinez’s map. And he dug even deeper into the data to incorporate information about parents’ educational attainment, home ownership, single-parent status, and other factors. Without careful controls, Choudhury says, school choice can create “islands of affluence.” So for the 2018-19 school year, one-fourth of the 3,000 open seats in the 31 choice and magnet schools were reserved for students with the highest needs. And he and Martinez are working to locate new innovative schools in neighborhoods where geographic and economic isolation make school choice an abstraction. One day last spring, as she was driving past J.T. Brackenridge, Radle spotted a former student of hers, Priscilla Lucio, on the way home from picking up her son, Carlos Zuniga Jr., from school. “You don’t have, like, beans on the stove or anything like that, do you?” Radle asked, making sure they had time to talk. The boy, better known as C.J., had just been accepted into a new engineering program at Lanier High School, Lucio told Radle. They had gone to visit and C.J. had become captivated with the idea of working on jet engines. He’s never been on a plane, but if he had the chance, he said, he’d fly to Tokyo. Lucio had dreamed of being a pediatrician but dropped out in 11th grade when she became pregnant with C.J. The visit to Lanier’s high-tech program changed what she wanted for her first-born. How would C.J. feel about leaving? How would his family? At this, the talk became more tentative. “It would be hard for my mom to let me go to college just for the fact that I’m the oldest and I’m the first one to go,” C.J. says, looking at his feet and not at his mother. Named one of the 25 most influential Latinos in the United States by Time magazine, Lionel Sosa is a celebrated native son of the 78207. He has advised presidents and the heads of Fortune 500 companies, and yet he is intimately familiar with the shift of perspective Lucio and her children are undertaking. At 79, he has 50 grandchildren and great-grandchildren, many of whom live in the neighborhood. Sosa’s own kids are from two marriages, the first to a woman who did not finish high school and the second to a college graduate he married after he made a fortune in advertising. His first four children didn’t graduate from high school. The next two graduated from Embry-Riddle Aeronautical University and Yale University. San Antonio ISD offers much more now, but Lucio and C.J. have another leap to make, Sosa says. 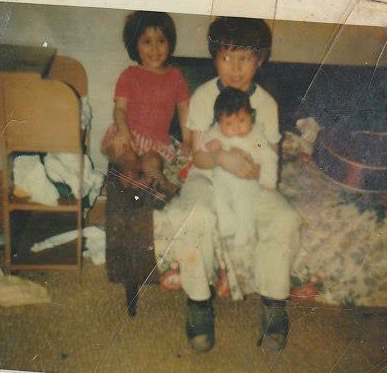 Mexican-American culture prizes family. Bringing home a paycheck, however slender, and having one’s own children is being a good son or daughter. Sosa intervenes now when he learns a grandchild has been accepted to college but is waffling, pointing out as many times as it takes how much more college graduates can contribute and arranging to visit the campus together to help iron out things like financial aid. Home, Radle knows after watching generations of the 78207’s young people struggle with this moment, exerts a powerful pull. Contrary to stereotypes about poverty, it’s a place where people lift one another up, sharing whatever they have and always making time to catch up. On seemingly every corner of the 78207, there’s art celebrating the neighborhood’s heritage. And yet, as the rest of the city prospers, the West Side is backsliding. 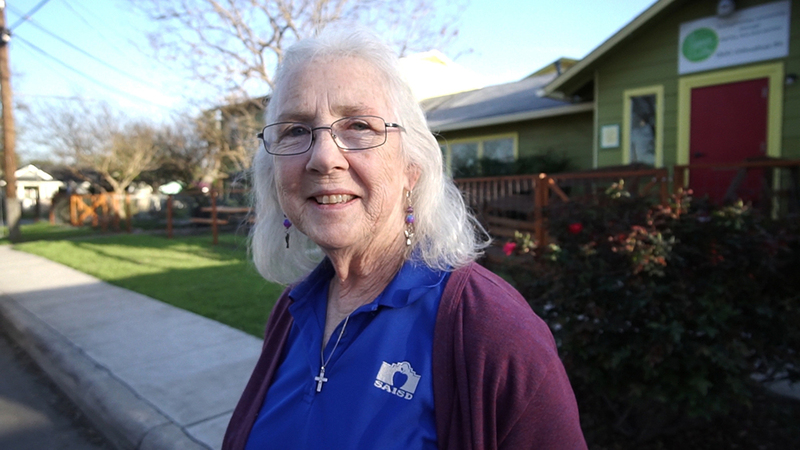 As she cruises the neighborhood, Radle can’t help but notice where homes, their foundations rotted away by rainwater, have literally fallen down. Fifty years ago, C.J.’s great-great-grandfather was one of the founders of Inner City, the neighborhood nonprofit Radle co-directs with her husband, Rod. That work — all volunteer — has helped to keep the community’s culture vibrant, despite its hardships. But it hasn’t been enough. Like Sosa, Radle knows how much C.J.’s family needs him to leave for at least a little while if meaningful change is to make it over the economic and social moat that encircles the neighborhood. As she watches him start to hesitate at the thought of going away to college, she jumps in, pointing out the things he could fix if he comes back to the 78207 as an engineer. Once C.J. has had a taste of financial security and the opportunities it can open up, Sosa is confident he will begin thinking about even larger contributions — to his family but also to the future of the 78207. “In the Latino community, and the Hispanic community, helping family is what life is all about,” says Sosa. “It’s not about helping yourself, or doing well for yourself. It’s about the family doing well together. No one, Sosa says — not his family and not San Antonio — can afford that. Two years later, lawmakers added a third option: A district could forestall state action for two years by turning a school with five “improvement required” ratings over to an outside partner, including networks of charter schools, nonprofits, or universities. For the first of these struggling schools, 2018 is the year the clock runs out. With six affected campuses in 2017, San Antonio ISD had more than any other district in the state save Houston, which had 10 schools on the list. When the state released the 2018 list in August, four San Antonio ISD schools had improved enough to climb off it. A fifth escaped sanctions because it is now run by a teacher-training program, and the district announced it would close the sixth school. In January, Martinez announced plans to contract with Democracy Prep, a New York-based nonprofit charter network, to run P.F. Stewart Elementary, one of the persistently low-performing programs. The district chose the network, which also has schools in Washington, D.C., Louisiana, and New Jersey, because of its strong track record. Its first New York City program opened in 2006 and by 2009 had become the city’s highest-performing middle school. The San Antonio Alliance of Teachers and Support Personnel protested at a March board meeting where the agreement with Democracy Prep was approved. One speaker threatened “open season on board members.” Soon after, the #byepedro flyers began appearing throughout the district and the union sued. Pouring kerosene on the fire, enrollment declines and past overstaffing at the district’s non-choice schools required laying off some 130 teachers and classroom aides, a process Texas law says can incorporate performance evaluations. It’s common for teachers unions to protest district collaborations with public charter schools, especially when the partnership exempts a school from the local bargaining unit’s contract. But San Antonio ISD oversees 20 in-district charter schools, including Advanced Learning Academy — the first specialized school Martinez created — and a number of other popular new programs. Braination, a local charter network, runs a school for the district’s most challenged special education students, and another, Texans Can Academies, a dropout recovery program. The San Antonio campus of Texans Can, which serves students who are older than their classmates or have too few credits for their age, has a dropout rate of 6 percent, compared with 39 percent among the same population at some San Antonio ISD high schools. The difference between the new partnerships and the charters the union has not protested is a bread-and-butter distinction: The new schools employ their own teachers, while the district’s choice schools are staffed by San Antonio ISD employees, albeit on terms that differ from the rest of the district. Democracy Prep’s contract with the district gives it room to expand if it’s successful, eventually enrolling two K-12 “continuums,” each consisting of an elementary, middle, and high school. Current Stewart Elementary staff who are not hired by Democracy Prep can choose to stay in the district and be assigned to other schools. Whatever the trajectory of the competing pressures created by the school-closure law, the chapter threatens to engulf Martinez in a swirl of controversy that his backers fear could erode the political capital and goodwill that have enabled him to make so many changes in such a short time. When Texas released its 2018 school performance data in August, Martinez got lots of good news. The percentage of San Antonio ISD students meeting or exceeding expected growth in reading and math rose to 61 percent, from 53 percent in reading and 52 percent in math the year before. The district saw academic gains across grade levels and on 73 percent of its campuses. Has the community had a big enough taste of success to support him, and Radle’s board, in continuing with their experiment? “We need time to build this out,” says Martinez. “What I tell my [board] is, ‘You have to think 20 years out.’ These things have to outlast us. Will these systems become so popular people don’t look back? Video Credits: Edited by James Fields; Produced by James Fields, Beth Hawkins & Heather Martino. Additional footage of San Antonio school interior & exteriors courtesy of SAISD YouTube channel. Additional Lionel Sosa footage courtesy of YES! OUR KIDS CAN YouTube Channel. Disclosure: The George W. Brackenridge Foundation provided financial support for this project to The 74.